The Domino’s Wedding Registry is REAL and I honestly do not understand how people have even been getting married before now. It is a mystery! 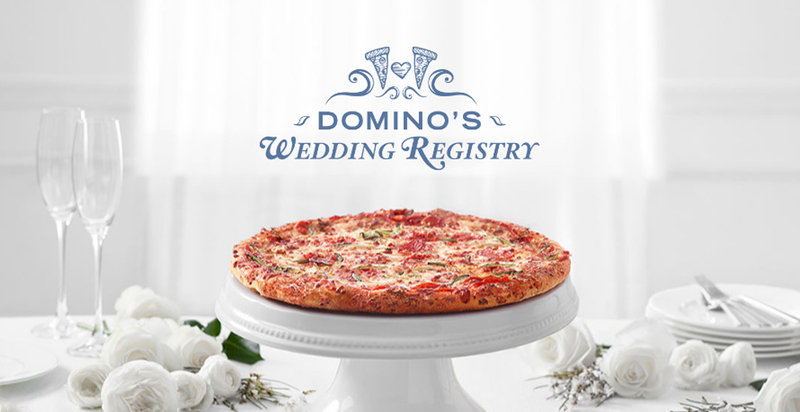 Fortunately, Domino’s now offers engaged couples to register for a variety of pizza-related packages like The Wedding Night, Thank You Card-a-thon, Post Honeymoon Adjustment to Real Life, Bust Out The Fine China, and more. Because the greatest gift you can give is love! And the second greatest gift you can give is pizza. Everyone knows that.